Mankind is a mystery to the angels. God has charged them as ministering spirits to the heir of salvation. They are given the understanding that the heirs of God will judge them in the end of time. We will instruct and judge angels, and that is why God created mankind in His own image, for the express purpose of being His family and judging in the world to come. It is something that one angel just could not handle, and rebelled against the purposes God laid out. Not being there, but imagining in my own mind, what must have gone through Lucifer's mind when God created man and gave him dominion over the whole earth. Lucifer was given the earth to administer for God and it is theorized that from Genesis 1 to verse 2 could have been a billion years, as God is outside of time and the planets could be that old. But here we have God giving what Lucifer must have imagined, an upstart called Adam priority over him. I mean, this was God's anointed Cherubim who was one of the ark angels that covered the mercy seat. Who was given an image that was glorious to behold. “What was God doing by giving my earth to a man”..Lucifer may have thought. Jealousy and pride made the anointed Cherubim rebel against the Creator of all of the universe, which included even, Lucifer. War broke out in the heavens, as Lucifer convinced 1/3 of the angelic host to follow him in rebellion. I've often wondered, why those who were created by God Almighty, the legions of angels would follow another created being and join Satan, (which means adversary) in open rebellion. Did they not know WHO they were standing against? Did they not know that the God who created them, could not be over come by even their power? What made them so crazy? Perhaps they felt God was being unjust in His dealing with Lucifer and in so doing, were also guilty of sin and cast out. Or maybe they joined with Lucifer at the moment that God unveiled His plan to create the human race and make the angels subject to their judgment. Maybe they were jealous. 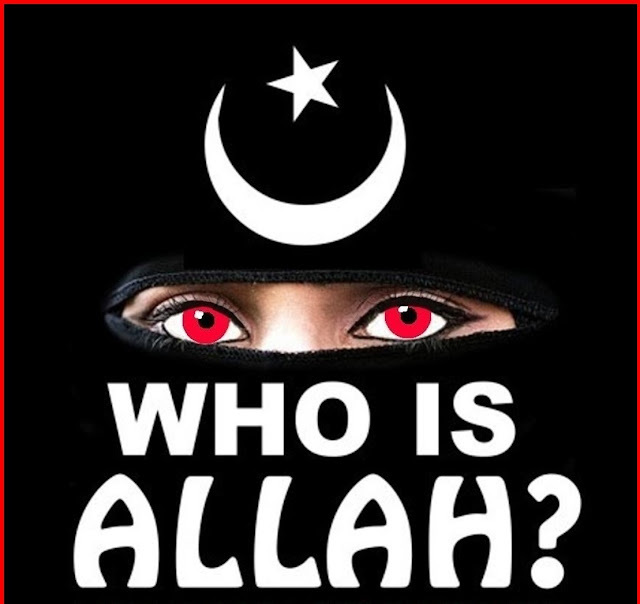 It is a unanswered question, as the Bible doesn't specifically say what was their reasoning and join Satan. Did they really think they could win against Almighty God, YHWH? It is worth thinking about and considering, while mankind is a mystery to the righteous angels who did not rebel, the fallen angels understood mankind only too well. That's because we have something in common with these fallen angels. That commonality is called “Sin”. Sin is the great equalizer between even fallen angels and fallen mankind. From the context of the story of the fall of Satan, reading the five “I WILLS” give the impression that Satan was upset over God's decision to put man in charge of the earth. It was a bone of contention of who was going to rule, who was in charge. ..Mankind, by implication, is the reason that Lucifer felt betrayed and his pride caused his rebellion. Lucifer just could not handle that mankind, an inferior race of created beings, was going to be served by the angels in submission and then at the end of the age, be their judge. Now Satan has a deep hatred of mankind. Thinking about this and trying to picture what Satan must have thought when given this plan of God, Lucifer just could not handle that plan of God and his pride got in the way of his obedience to God's ultimate plan. 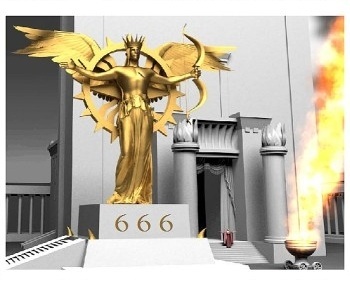 This is where the Five “I WILLS” began and Lucifer decided he would rise above even God. 13 “Thou hast been in Eden the garden of God; every precious stone was thy covering, the sardius, topaz, and the diamond, the beryl, the onyx, and the jasper, the sapphire, the emerald, and the carbuncle, and gold: the workmanship of thy tabrets and of thy pipes was prepared in thee in the day that thou wast created. From the description, Lucifer was adorned with precious jewels, and must have been a player of music, or singing praise to God around His throne. It also, isn't much of a stretch to wonder what the other angels in heaven that did not join the rebellion thought about the severity of the punishment. The existence of humanity is often described by theologians as the 'trial of Satan'. Why a trial? Because God is just. Let us paint a picture of the scene of Satan being judged and awaiting the sentence that will finally be brought upon him. Lucifer was highly favored before God, as he was the most beautiful, and God anointed him as a covering cherub, as verse 14 of Ezekiel 28 plainly says. What was the rebellion that Lucifer pursued that brought judgment upon him? Isaiah 14:14 defines that first sin as, "I will" -- the sin of pride. The trial is to prove what 'one little sin' can do -- the classic 'slippery slope' scenario. This trial is really, on close examination of the age of human history from the perspective of God's angels who did not join in the rebellion, who have no knowledge of sin, or how it really works. (First: Adam and Eve. )-God creates a perfect environment for two perfect people He created and give them dominion over the whole earth, with only ONE commandment. They were not to eat of the fruit of the knowledge of good and evil. Eve allowed Satan to deceive her, and the thought of being wise and knowing what God knows appealed to her vanity, so she ate, and was deceived. But Adam was not deceived and ate the fruit against the commandment of God. He knew that Eve would be condemned, so some say, out of love for her, he decided to join her. Obviously, he never envisioned what the penalty would be when he did so, as they were cast out of the Garden of Eden and were destined to die in the future from their sin. So man inherits a sin nature. (Second piece of evidence)- Man is allowed to reign until the flood and do what was right in his own mind, or the so-called “Age of Conscience” Without direct interference by God, man was allowed to follow his sinful heart, whereas mankind became so sinful and corrupted, that God repents of even making mankind and decides to destroy mankind in a Great Flood. But Noah found grace in the eyes of the Lord, and his family are saved in a wooden ark that God commanded him to build. None of these men ever kept what God gave as what He expects from mankind, and broke all of the Commandments of God handed down by God to Moses at Mt. Sinai. Each of them sinned against God's standard for living a righteous life, no matter what the circumstance. Remember, King David broke all ten of them. (Fourth piece of evidence)- During the Age of the Law, during which time that man corrupted the Law of God and perverted is so by following pagan gods from Moses to the Prophets who warned of judgment for sinning against God's Law, that God decided to scrap the whole Age of the Law, as man could not keep it..and replaced it with the Age of Grace. Knowing this, God stepped out of the Glory of Heaven, shed His Divine nature and became a man, kept the law perfectly on our behalf, and paid the price for our sin, by dying in our place. By this unselfish act of supreme love for His creation, God through Jesus (God in the flesh) laid down His life, to save ours, an act of supreme sacrifice to redeem the family of man, to become the FAMILY OF GOD. In doing so, Jesus gave all mankind the free offer of mercy and grace. But God knew that man's pride would not want to submit to God's offer of this grace and mercy. God knew that only a remnant down through the ages would accept this free offer, which is a gift that none of us can do anything to receive it, but by faith believing. I can only imagine the shock that must have filled the angelic host who gasped in disbelief of the refusal of mankind to return to what was lost, and that is a relationship with God who created them and Paradise lost. The Angelic host see how “one little sin” in the Garden of Eden, has thus far brought mankind to the point it is in today. God has allowed mankind to earn the wages of his own willful pride and the sins he commits. Jesus returns in wrath in the 19th Chapter of Revelation, and Satan is bound for a 1000 years, while the King of Kings reigns from Jerusalem. “ And I saw an angel come down from heaven, having the key of the bottomless pit and a great chain in his hand. IN this age of the Kingdom of God, man has no excuse. Jesus is right there in front of them. He is in Person, for all to see. Each man and woman is given the free will choice to accept Jesus as personal Savior, as the Saints of God, Kings and Priest to God have instructed them in the ways of righteousness and revealing the mercy and grace of God through Jesus, by even beginning Temple sacrifices during this time, to point to the only Savior of them also. Satan is restrained, lifespans increase like it was right after the Garden of Eden (up to a 1000 years), wars are banished, famine and poverty are but a memory, and the world is returned to the Eden-like state as it began...PERFECT. (Seventh piece of Evidence)- With God Himself on the Throne of human government, ruling with a rod of iron for a thousand years, Satan is loosed for 'a little season'. I can't even begin to imagine that having perfect harmony of God's creation, God reigning on earth for the entire time, and returning the world to what it was intended to be, when Satan is loosed “for a season” his influence is able to raise an army to come against the King of Kings, and the Lord of Lords Himself....To me, this is total madness to come against a Living God. The first resurrection had many phases, as Jesus was the beginning of that resurrection, and those raised at the end of the Tribulation will be the end of the 1st resurrection. Here, there is only one phase and it is the Great White Throne judgment of all who have ever lived and have died in their sins and not accepted the Free Gift of Eternal life found through the sacrifice of Jesus Christ, our Lord. Man has been found to not be able to be trusted in his mortal state. Even with God in the middle of them, man is prone to pride of what made Lucifer to fall. God will change all who belong to Him, into what the Church has been changed into....the image of Jesus Christ..
“Behold what manner of love the Father has bestowed on us, that we should be called children of God! Therefore the world does not know us, because it did not know Him. We will be just like our Savior, Jesus Christ. In all points we will be just as He is, save His diety. We will have the mind of Christ, be immortal, and unable to sin ever again. In the grand Plan of God, as revealed in the Holy Bible, everything has a purpose. There is no omission, there is no mistakes, or inconsistencies. From Genesis to Revelation, a central theme is that sin is the cause of death. Sin is what condemned Lucifer and all who follow his deception and sent all of them into the Lake of Fire to be forever separated from God Almighty for all eternity. Sin will be eradicated from existence. And all who have rebelled against God and have not received Jesus will receive the ultimate judgment. 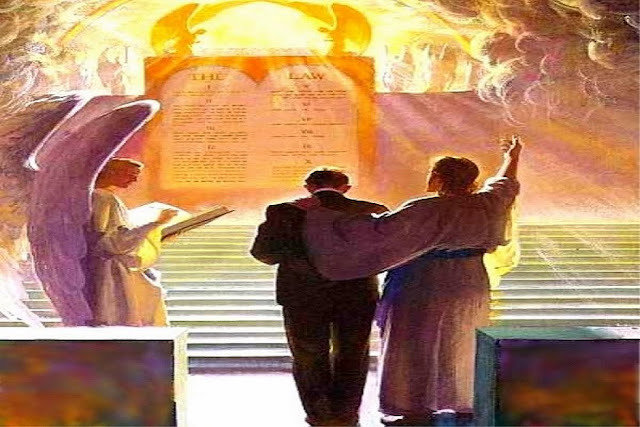 This is not the end of the story...judgment has been passed on all sinful mankind, the Anti-Christ, the False Prophet, Satan and his demon angels and all sinful mankind. Men, Satan, and his angels were created immortal, so they had to go somewhere. The Lake of Fire was created for sentencing Satan to outer darkness and was not designed for mankind, but man chose to follow Satan's deception, just as the fallen angels did, because of pride and desire for sinful living. God gives them what they want, as He is a just God who is completely fair. Each of these beings had free moral choice to choose God, or choose evil. Judgment is passed, and sentencing is carried out...the Case against mankind is closed with this last judgment...but wait, God is not done yet. But I close up this message with what is written at the end of the last book of the Bible. The Spirit and Bride beckon to all who will come to this place called eternity with God Almighty and become part of the Family of God..
PEOPLE GET READY....JESUS IS COMING SOON. In 1965 a song was released by a Rhythm & Blues musical group called The Impressions. The song was written by their lead singer, Curtis Mayfield. Mayfield's background was singing church gospel music. He wrote a lot of songs in the gospel style. The song was titled, "People Get Ready." Looking at the lyrics from a biblical view, the song encourages believers to hold tight to their beliefs when times get bad, and promises victory for the good guys, and punishment for the bad. Well, please let me tell you, dear readers, that it is most definitely time to "get ready." We need to do this right now. And quickly. We can no longer "get ready" at our leisure. Our world is so totally out of control that you cannot even begin to keep up with the news because at least hourly, things across the globe are drastically changing. AND, the things that are constantly in flux all seem to have the potential for determining life, or death. Whether you are a believer or a non-believer, the questions resonating around the globe seem to be focused on the end-times. Are the Bible's words really true? Jesus really the Son of God? Is Jesus really coming back to earth? Can He really save us from destruction? How can I be saved? Is there really such a time period called the end-times? And, are we really there now? 1 John 4:9 - "In this was manifested the love of God toward us, because that God sent his only begotten Son into the world, that we might live through him. We are also told in John 3:16 - "For God so loved the world that He gave His only begotten Son, that whosoever believeth in Him should not perish, but have everlasting life. We can also read in Matthew 16:15-16 - "He saith unto them, But whom say ye that I am? And Simon Peter answered and said, Thou art the Christ, the Son of the living God." Yes, Jesus really is coming back to earth. After He was crucified, died and was buried, He rose again! His death on the cross signified the end of the beginning. His resurrection was the beginning of the end. After Jesus' resurrection, he was talking with his apostles, and telling them that He was leaving to be with His Father, but that He would return. John 14:1-3 - "Let not your heart be troubled; ye believe in God, believe also in Me. In My Father's house are many mansions; if it were not so, I would have told you. I go to prepare a place for you. And if I go and prepare a place for you, I will come again and receive you unto Myself; that where I am, there ye may be also." We also read in 1 Corinthians 15:22-24: " For as in Adam all die, even so in Christ all shall be made alive. But every man in his own order: Christ the firstfruits; afterward they that are Christ's at His coming. Then cometh the end, when He shall have delivered up the kingdom to God, even the Father; when He shall have put down all rule and all authority and power." Yes, He really can save us from destruction. Yes, He can, and He will. He has all power to do as He purposes, but saving us from the destruction coming in the end times does not involve saving our mortal bodies (we will live with Him with new, incorruptible bodies)...it involves saving our immortal souls. The Church is the Bride of Christ, and He does not wish for us to go through the days of the Tribulation. "Behold, the day of the Lord cometh, cruel both with wrath and fierce anger, to lay the land desolate: and he shall destroy the sinners thereof out of it. For the stars of heaven and the constellations thereof shall not give their light: the sun shall be darkened in his going forth, and the moon shall not cause her light to shine. And I will punish the world for their evil, and the wicked for their iniquity; and I will cause the arrogancy of the proud to cease, and will lay low the haughtiness of the terrible." 1 Thessalonians 4:16 -18: "For the Lord himself shall descend from heaven with a shout, with the voice of the archangel, and with the trump of God: and the dead in Christ shall rise first: Then we which are alive and remain shall be caught up together with them in the clouds, to meet the Lord in the air: and so shall we ever be with the Lord. Wherefore comfort one another with these words." John 3:16 " For God so loved the world that He gave His only begotten Son, that whosoever believeth in Him should not perish, but have everlasting life." Jesus Himself tells us in John 14:6: "Jesus saith unto him, 'I am the way, the truth, and the life: no man cometh unto the Father, but by Me." Again, Jesus tells us in Revelation 3:20 - "Behold, I stand at the door and knock: if any man hears My voice, and open the door, I will come in to him, and sup with him, and he with Me." Call out to Him and listen for the voice of the Lord! 2 Timothy 3:1-5 - "This know also, that in the last days perilous times shall come. For men shall be lovers of their own selves, covetous, boasters, proud, blasphemers, disobedient to parents, unthankful, unholy, without natural affection, trucebreakers, false accusers, incontinent, fierce, despisers of those that are good, traitors, heady, highminded, lovers of pleasures more than lovers of God; having a form of godliness, but denying the power thereof: from such turn away." Matthew 24:3-14 - "And as he sat upon the mount of Olives, the disciples came unto him privately, saying, Tell us, when shall these things be? and what shall be the sign of thy coming, and of the end of the world? And Jesus answered and said unto them, Take heed that no man deceive you. And many false prophets shall rise, and shall deceive many. And because iniquity shall abound, the love of many shall wax cold. But he that shall endure unto the end, the same shall be saved. And this gospel of the kingdom shall be preached in all the world for a witness unto all nations; and then shall the end come." Please continue to read, in your Bible, on through Matthew 24:15-51, where Jesus gives many details about what is coming. Additional details about the end times are given in Luke 21:25-27: "And there shall be signs in the sun, and in the moon, and in the stars; and upon the earth distress of nations, with perplexity, the sea and the waves roaring; men's hearts failing them for fear, and for looking after those things which are coming on the earth: for the powers of heaven shall be shaken. And then shall they see the Son of Man coming in a cloud with power and great glory. Let us not be deceived. Let us always watch and be ready. We do not know exactly when Jesus will come. Matthew 24:36 tells us, "But of that day and hour knoweth no man, no, not the angels of heaven, but my Father only." Again we are told this in Mark 13:32: "But of that day and that hour knoweth no man, no, not the angels which are in heaven, neither the Son, but the Father." We have already seen many signs, and there are more for which to watch. We hear people say that these things have all happened before, and the answer to that statement is this: "Indeed, many have." There is nothing new under the sun. But the key issue to remember here is that all of these things will begin to happen together when it is time. They will all begin to happen...at the same time...converging on one another. NOW is the time to seriously watch! So, these facts being established, where does that leave us with the state of the world today? I do not write about politics - although they play a large part in the way things unfold in our world. But I ask you to realize (and it is my opinion) that it doesn't matter what political party is in power in any given country or nation in the world, and it doesn't matter who is president or prime minister or chief-in-charge of the countries and nations in the world. It does not matter who is the aggressor or the one who rescues or the super power. The real Super Power is God. He alone is Sovereign, and He alone is in complete control of everything that happens. He raises up kings, and He takes down kings. He allows things to happen in order to bring about His perfect will to fulfill His perfect purpose. The next step is not clear, but by the time you read this, it will all be old news. Whatever the outcome of this will be, it will all be allowed and directed by God. We need not fear if we belong to Him! This earthly situation is certainly not our only concern. The entire globe is boiling over with hatred. Wars (or rumors of wars) are everywhere. Destruction, murders, suicide attacks, dissention, lies, persecution, deception and unrest stretch from one end of our world to the other. Violent weather, earthquakes and volcanoes rock the globe. Diseases, pestilences and famines abound. Things are disintegrating quickly, and the spiral is definitely downward. Not a very hopeful scenario, is it? How can we cope with all of this uncertainty? How do we get through day to day? Where is our hope? Our hope is in the Lord. Stay focused only on Him. He tells us to be of good cheer, for He has overcome the world! That means that we are to know in our hearts that we will be okay, no matter what comes, if we belong to Him. He has overcome the world (Satan's world), and all power and glory belong to Him! He will return for us, and we will live for eternity in the place He has prepared for us. It doesn't get any better than that. God created the world in which we live, and thankfully, He also gave us an instruction book to go along with it. The Bible tells us how it all began, and how it will all end. Jesus outlines the end times for us, so we will not be caught unaware, and we will know exactly what to expect. If you haven't read it, it is the best Book out there. Hurry and get your copy today. Time is very quickly running out. People, get ready! 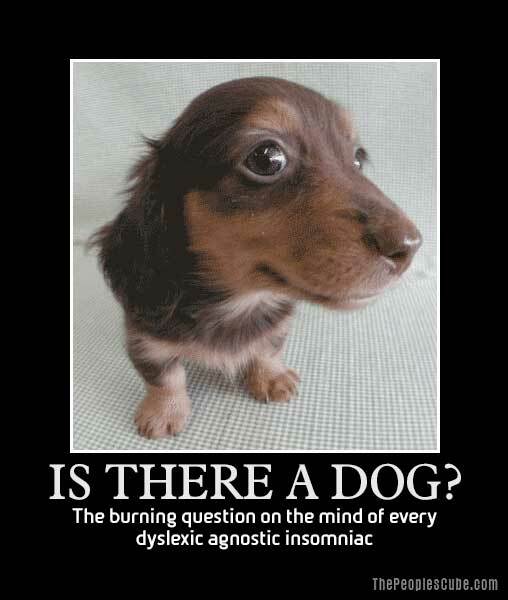 A DECEIVED FLEA CRIES, "THERE IS NO DOG"..
Oftentimes the first objection raised by the skeptic when introduced to the God of the Bible is the argument that God is not fair. It is an argument for which I can offer no rebuttal. Godisn't fair, which is a good thing for the rest of humanity. But that isn't something that the carnal mind can understand because it is spiritually discerned. So to them, God isn't fair because a loving God wouldn't send people to hell. A petulant, angry and unfair God could not simultaneously be the loving God of Christianity - -therefore God cannot exist. If God really loved the world so much that He would send His Son to die for it, why did He create sin in the first place? God is the Creator of all, isn't He? So He created hell, right? So that means He created sin, doesn't it? To the carnal mind, these questions make perfect sense, since they confirm the skeptic's own mental caricature of God. The challenge facing the skeptic is that his judgment of God is rendered according to the skeptic's own limited understanding. Sort of like a flea issuing the solemn evaluation that, because he can't see him, "there is no Dog." Clearly, the flea is something of a fool, since the evidence that Dog exists is everywhere around him. The thick fur that shelters him comes from Dog. The food that he eats comes from Dog. Without Dog, he would surely die. Dog is everywhere in his universe, but our flea can only see his tiny piece of it. And from his limited perspective, there is no Dog. But whether or not Dog exists is not dependent on the flea's opinion -- other than to the flea. The skeptic's judgments about God are rooting in a litany of similarly false assumptions. The first false assumption about God is that, because God loves us so much, He ought to let us do what we want. That is nothing less than deliberate, willful ignorance. The same kind of permissive kind of love that they insist would characterize a "loving God" -- when applied to children, doesn't produce loving children. It produces spoiled brats. God's moral laws have a purpose and are as necessary to the development of human civilization as the laws of physics are to the development of scientific understanding. But the main purpose of God's moral laws are to teach us what God requires for us to enter into His kingdom. It is our obvious failure to keep these moral laws that leads humans to seek redemption and salvation in the first place. We can't help it. Even an atheist, if he is honest, will admit that at some time in his life, he did or said something he was sorry for. Humans are built that way. The second false assumption is that we are qualified to judge what constitutes "fair." That gives rise to the question; "So why doesn't God make everyone into perfect beings and allow them all into heaven?" But that would be totally unfair to all concerned. It would actually be cruel if God were to do this, since that would force them to accept what their free will choices rejected. The people who end up going to hell will have done so because they believe they would prefer hell to being forced into the presence of God for all eternity. It is their choice to make, and many make it with eyes wide open. People like to live in their favorite sins and be accountable to no one for their choices. They fear that if they accept Jesus as Lord and Savior that God will want them to change their lives and they might have to give up some of their autonomy. We've all witnessed to somebody at some time who said something like, "I've a window seat reserved in hell" or, "I don't mind going to hell. All my friends will be there." God isn't SENDING them to hell. He is instead honoring their own deliberate choice. While God provided a way for man to avoid hell, but He also gave man free will to choose. Being compelled to worship God isn't 'worship' -- it is slavery. Since God created spiritual beings for the purpose of expressing love, those beings must have complete free will in order to express that love. But free will allows for the possibility of rejecting God's mercy and instead demanding (and receiving) judgment by a God of "fairness." They protest, "It isn't fair that only some people will get to go to heaven, while the rest will go to hell." In a limited sense, they are right. If God were fair, EVERYBODY would go to hell. Nobody can live a sinless life, even after they are saved and their sins are washed away. The struggle with sin continues until one draws his last breath. Therefore, God has made a provision to erase all sins that we have committed in this life and to perfect us by experience so that we will not be tempted to sin in the next life. That vicarious payment for sin is through the sacrifice of God's Son, Jesus Christ. Jesus lived the sinless life that God expects of me, then paid the penalty that my sins required on my behalf. That is mercy, not fairness. Fairness demands equal punishment for believer and unbeliever alike. Upon accepting Jesus as Lord and Savior, all our sins are erased, and Jesus begins the work of changing us to conform to His image. Obviously, 'fairness' demands that everyone who has sinned and come short of the glory of Godbe judged according to their works. Instead of fairness, God extends mercy -- but only to those who ask for it. That is where God is 'fair'. It is the atheist and the skeptic who will experience their own definition of'fairness' when they stand before Him. The skeptic and the atheist scoff at the nature of salvation, saying anything that is 'free' is worth what you pay for it. While salvation is a gift of grace and not of works, one can't exactly say that salvation is free. It will cost you your sin. It will cost you your pride. It will cost you your sense of self, or your selfishness. None of these character traits exist in heaven. But the skeptic or atheist who prefers to hang onto these traits can choose to go to where these traits will continue to exist. Every human was created in God's Image, with an eternal, spiritual component. We will all spend eternity somewhere. If not heaven, there is only one choice remaining. That is hell. Does a loving God send people to hell? No. What a loving God does is allow us all to make our own choice and then honor the choice we make. People CHOOSE hell. The atheist or skeptic can choose to stand before a fair God, or a merciful One. In either case, they can't blame God then for the consequences of choices that they make now. That wouldn't be fair. The concept of a 'global' government is not new -- except, perhaps, in the sense of it being 'global'. Until relatively recently, 'global' government meant a pan-European government, since Europe constituted the ''known'' world. But the perceived 'need' for some form of global, supra-national authority goes all the way back to the plains of Shinar in the land of the Chaldeans. The Bible not only tells us that Nimrod, the great-grandson of Noah was the first to come up with the concept of a universal government, but it also tells us why. The 'whys' behind the concept of global government are as old as the idea; "lest be be scattered abroad upon the face of the whole earth." Genesis says that Nimrod "began to be a mighty one in the earth" as Noah's descendants began to repopulate, build cities and settled down in what is modern day Iraq. The remains of "Babel" are still visible today outside the city of Babylon, which is located about 40 miles from Baghdad. Asshur's Nineveh is today located in northern Iraq just outside Mosul. The English word 'scattered' is translated from the root word "puwts" which literally means, "to dash in pieces" -- so it would be equally accurate to render it, "lest we be dashed to pieces upon the face of the earth." That was the argument in favor of global government four thousand years ago. It is the same argument being advanced today. So, why would the Lord oppose the idea of a global government from its inception? (Especially when the 'globe' in question was no larger than Iraq?) And why has virtually every effort to reinstate the plan collapsed under the weight of its own ambition? Ever since the days of Nimrod, mankind has sought to recreate Babel for precisely the same reasons articulated in Genesis 11 -- collective security -- "lest we be dashed upon the face of the earth". The problem with global government, then as now, is that when there is only one authority, then "nothing is restrained." As the Babylonian Empire reached its zenith, Nebuchadnezzar declared himself a god and demanded worship. The succeeding Medo-Perisan Empire reached its height under King Xerxes, who also declared himself to be a god and demanded worship. Alexander the Great believed himself to be the son of Zeus, chief among the Greek pantheon of gods, and a direct descendent of the god Achilles (on his mother's side). The Roman Emperors believed themselves to be gods, with the Emperor Domitian claiming for himself the blasphemous title; "The Lord God." The Roman Empire eventually collapsed as a physical empire, going 'underground' so to speak, and re-emerging as a spiritual kingdom, with the papacy replacing Caesar as "Pontifus Maximus". It wasn't long before the Pope claimed the authority of Jesus Christ, including many of the Divine attributes, such as infallibility. In the 8th century, King Charles the Great of France, (known to history as 'Charlemagne') attempted to reunite the old Roman Empire politically under the papacy. In 799, Charlemagne was crowned by Pope Leo III "Imperator Romanorum" ("Emperor of the Romans") and the head of the "Holy Roman Empire." The closest thing history actually had to a truly 'global' government, however, was the British Empire. At its peak, the British Empire encompassed a quarter of the world's landmass and ruled a third of the world's population. Napoleon attempted to revive the Roman Empire under his leadership, and in 1804, was crowned Emperor of the Holy Roman Empire at Notre Dame by Pope Pius VII, comparing himself at various times to Jesus Christ. Adolf Hitler's 1000 Year Reich was modeled after the Roman Empire and he was worshipped by the Nazis as a god. "Jesus and Hitler. As Jesus freed men from sin and Hell, so Hitler freed the German people from destruction. Jesus and Hitler were persecuted, but while Jesus was crucified Hitler was raised to the Chancellorship ... Jesus strove for Heaven, Hitler for the German earth." It should be obvious by now that there is an historical pattern that remained unchanged since the days of Nimrod. In the secular sense, it could be expressed as "absolute power corrupts absolutely." According to the Bible, there will be one more pretender to the throne. He comes to power by acclamation; John pictures him as a rider carrying a bow, but no arrows, indicating a peaceful conquest. Daniel says of him, "by peace he shall destroy many." John says the seat of his power will be in Rome, but the scope of his power is both universal and centralized. It is so centralized, in fact, that he will be able to restrict the ability to buy or sell on an individual basis, depending on the single condition that his followers worship him as a god. But until this generation, that was impossible. Now that we are here, it is inevitable. The only thing restraining him now is the same Force that restrained the previous pretenders. Never in the history of mankind has the perceived need for a global government been stronger or the reasons more compelling than exist at this particular moment in history. But notice what happened back in 1990 when then-President George Bush uttered his famous "Thousand Points of Light" speech in which he uttered the phrase, "New World Order." The UN was delighted. The Europeans, then in the final throes of unification, welcomed the speech as an endorsement of their unification efforts. Even the Russians were enthralled. Christians immediately connected the "New World Order" with the one world government of antichrist and George Bush was the last US president to ever utter the phrase in public. As long as the Church remains on the earth, the antichrist cannot make his appearance. The Restrainer indwells us, and through us, restrains his power to deceive. "For this we say unto you by the word of the Lord, that we which are alive and remain unto the coming of the Lord shall not prevent them which are asleep. 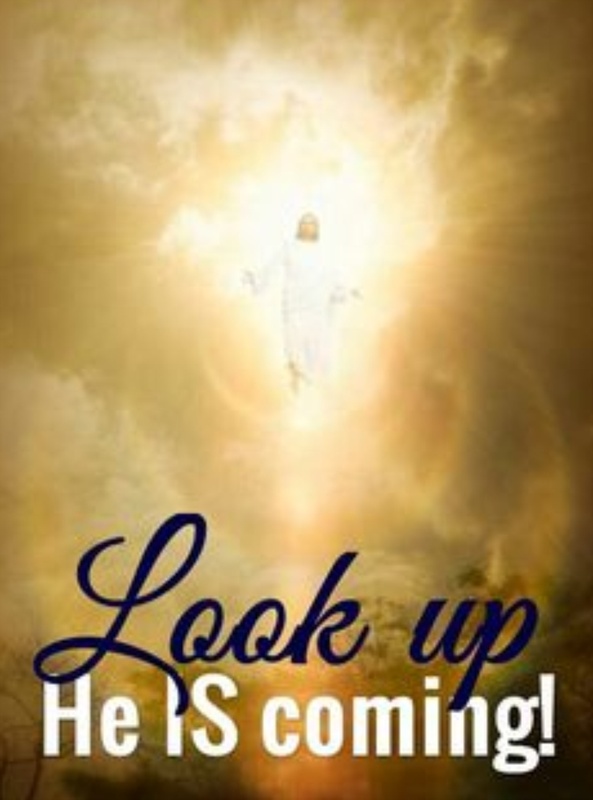 For the Lord himself shall descend from heaven with a shout, with the voice of the archangel, and with the trump of God: and the dead in Christ shall rise first: Then we which are alive and remain shall be caught up together with them in the clouds, to meet the Lord in the air: and so shall we ever be with the Lord."